The report found one positive change: 18- to 25-year-olds are misusing prescription opioids less. Far fewer people started using heroin last year, but the decline among young new 18- to 25-year-old heroin users was almost imperceptible and this age group also saw a big jump in methamphetamine and marijuana use, according to a federal report out Friday. The 2017 National Survey on Drug Use and Health emphasizes what it calls these “transitional aged youth” because they have higher rates of cigarette use, alcohol abuse, heroin use disorder and use more cocaine, meth and LSD than people both younger and older. The report, released by the Substance Abuse and Mental Health Services Administration (SAMHSA), found one positive change among 18- to 25-year-olds: They’re misusing prescription opioids less. In 2015, SAMHSA estimated 8.5 percent of those in this age range misused prescription opioids, but that dropped to just over 7 percent in 2017. The report helps identify the extent of substance use and mental illness among different age groups nationally, by state and in more local areas. It also helps gauge the need for treatment services and guide policy decisions, says psychiatrist and SAMHSA assistant secretary Elinore McCance-Katz. There was more alarming news. Use of illegal drugs, including cocaine, marijuana, and opioids by pregnant women increased significantly between 2015 and 2017, the report found. About 7 percent of pregnant women reported using marijuana, with about 3 percent saying they used it daily. Those who have treated people with substance abuse disorder and people in recovery describe a predictable switch from heroin to meth. With all the publicity surrounding deaths from heroin laced with fentanyl, psychiatrist Sally Satel says most addiction experts expected there to be a move away from the drug -just as crack cocaine fell out of favor decades ago. "I was waiting for this," says Satel, who specializes in addiction treatment. "This is how it works." Jim Beiting CEO of Transitions, Northern Kentucky’s largest drug treatment and recovery organization, says meth is also "magnetic" to some suffering from addiction. 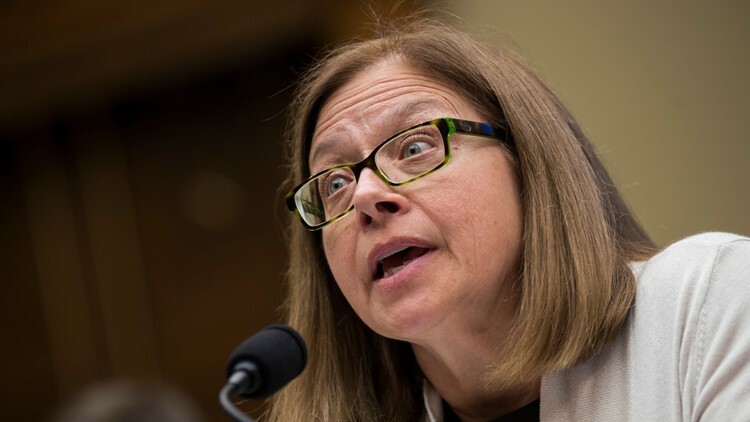 Dr. Elinore McCance-Katz, assistant secretary for mental health and substance abuse at Substance Abuse and Mental Health Services Administration (SAMHSA), testifies October 25, 2017 in Washington, DC. McCance-Katz, who worked in addiction treatment in Rhode Island before joining the administration," says "often people will use both drugs to mitigate unwanted effects of one drug over the other." A stimulant could help them "get euphoric," and another drug - or alcohol - might be used to keep them from feeling "shaky and paranoid," she says. • Marijuana use among 12- to 17-year-olds was up compared to all previous years, SAMHSA found. The trends in use differed for youth and young adults, but marijuana use for both groups appeared to be associated with opioid use, heavy alcohol use, and major depressive episodes, the agency said. • Those 18 to 25 had higher rates of serious mental illness and what's known as "major depressive episode with severe impairment." More than 5 percent of men and nearly 10 percent of women in this group had serious mental illness and 6 percent of males and 11 percent of females had major depressive episode with severe impairment in 2017. Rates of suicidal thoughts or behavior also significantly increased for the age group, SAMHSA said. • The percent of people with substance use disorders who are getting treatment made a significant jump from 10 percent to 14 percent SAMHSA said. This was particularly evident for those addicted to opioids, including heroin. Still, few of the people who want treatment can get it, says McCance-Katz. If health care providers certified to dispense buprenorphine - a drug used to treat opioid addiction - saw as many patients as they had the capacity for, McCance-Katz says there would be enough treatment for everyone the report showed has opioid use disorder. The big problem, however, is that these doctors, nurse practitioners, pharmacists and other health care providers aren't necessarily where those struggling with addiction are, she says. That's why she says "telehealth' - virtual connection to health care providers - is needed to provide access to people in more remote or rural areas. SAMHSA is expanding training and technical assistance and setting up mental health programs in each of the Department of Health and Human Services' (HHS) 10 regions, she says. HHS got a large boost to its fiscal 2018 budget to expand access to treatment through grants to states and communities, but the results may not apparent for awhile. "These things take time to be reflected," says McCance-Katz. Satel says there's a dire need for more places people with substance abuse disorder can detox, as well as more facilities offering treatment that step down from the most intense supervision to the least. "The treatment infrastructure is appalling," she says. Fiscal year-end data for the Center for Addiction Treatment in Cincinnati showed a drop in opiates as the primary drug for 76 percent of patients in 2017 to 70 percent in 2018. Despite the decline in prescription opioid use and new heroin users shown in the SAMHSA report, opioids are still the most-used drug among clients, said center CEO Sandra Kuehn. Nearly a third of the center’s 2,176 patients in the 2018 fiscal year were 18- to 25-years-old, although more patients were 31 to 45. "People still want to alter their mental state," says Satel. "So they look for what’s cheap and what’s available and the reputation of the drug." There's also only so much HHS can do to address addiction without integrated social services, say Satel. Treatment funded through HHS currently doesn't involve housing and vocational training, which are the purview of other federal agencies. "Why would you stay clean if your prospects were still as dismal as there were when you got addicted?" she asks.